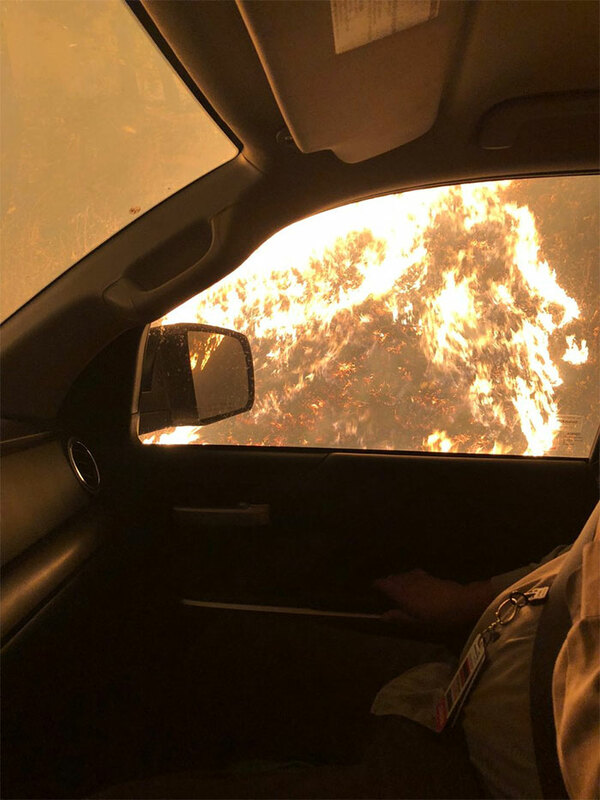 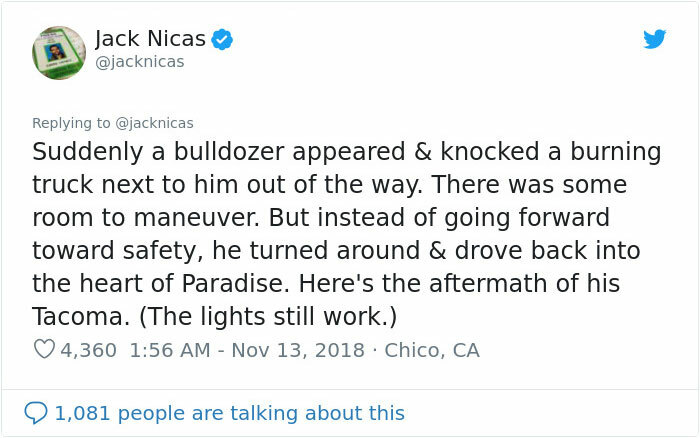 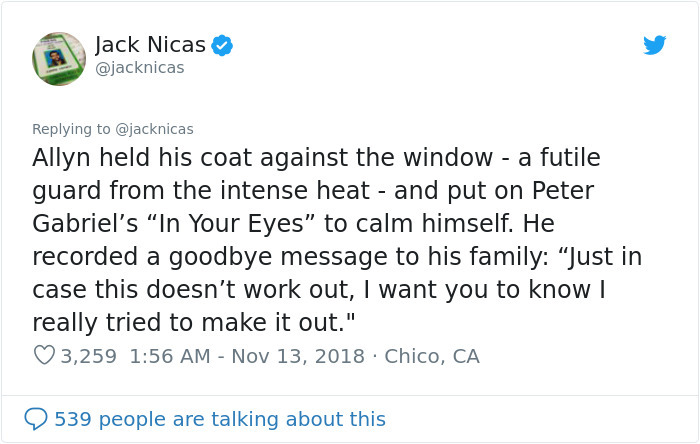 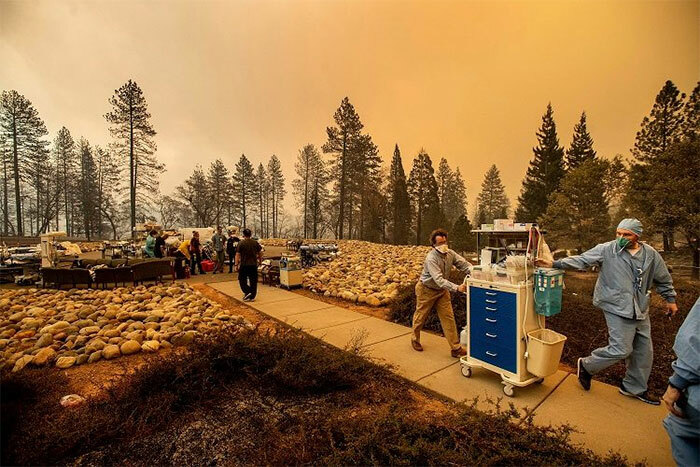 In the midst of the deadliest and most destructive fires in California’s history, stories of incredible bravery and heroism are emerging. 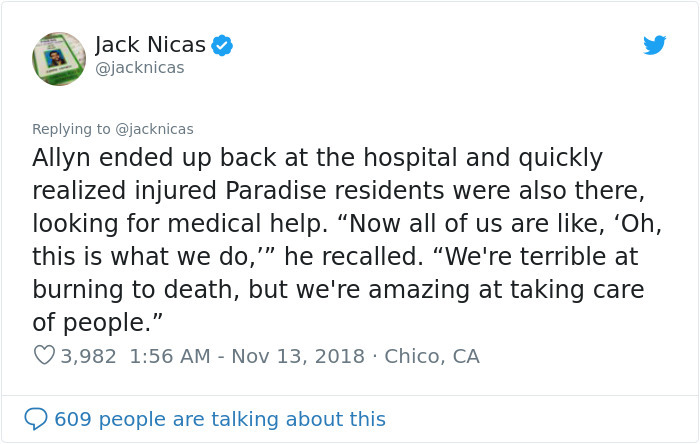 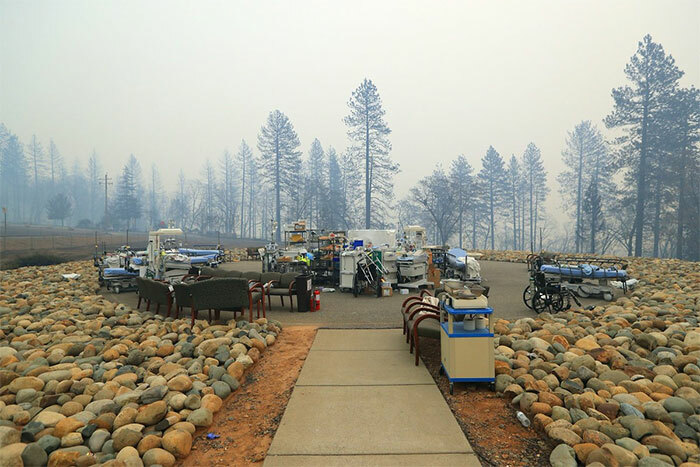 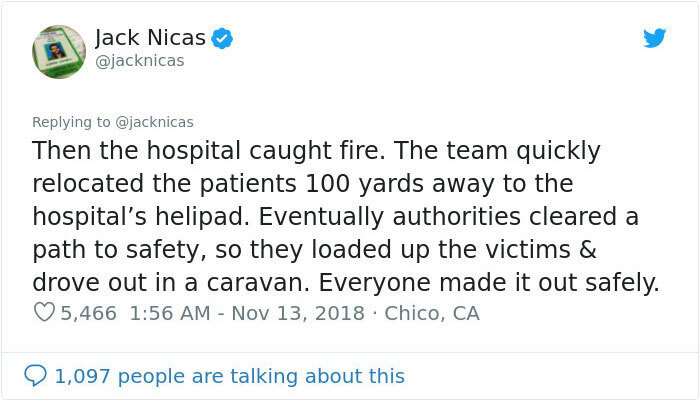 One such tale came from the hospital in the destroyed town of Paradise, where paramedics, doctors and nurses continued to treat patients in the parking lot as the fire consumed the hospital and raged around them, before finally getting the clearance to evacuate. 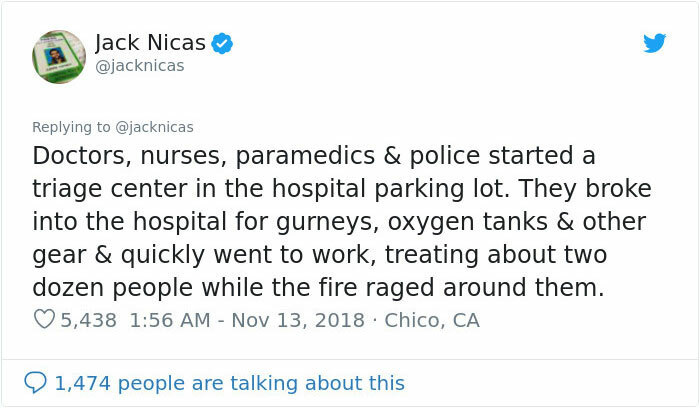 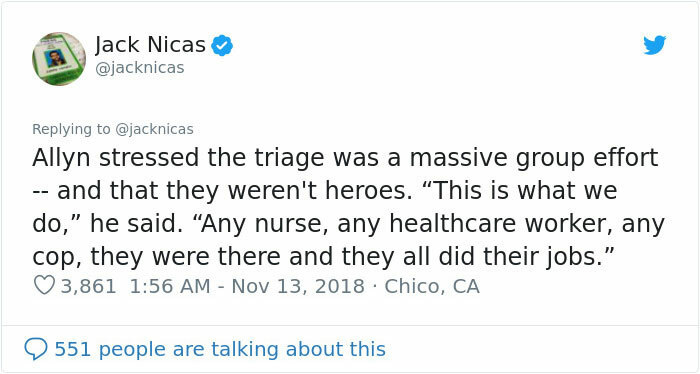 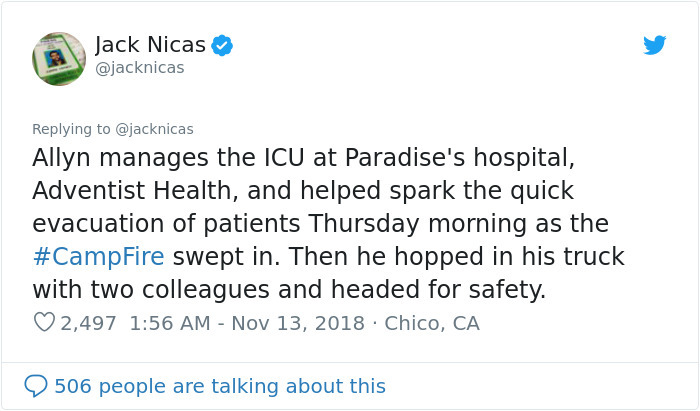 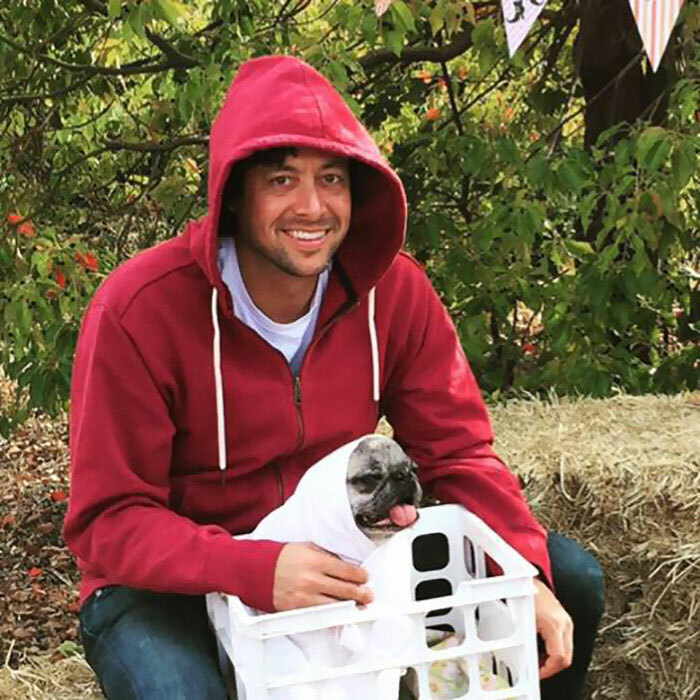 One of the nurses, Allyn Pierce, who refuses to called a hero as it was a group effort of people just doing their jobs, lost his house and his workplace in the fire. 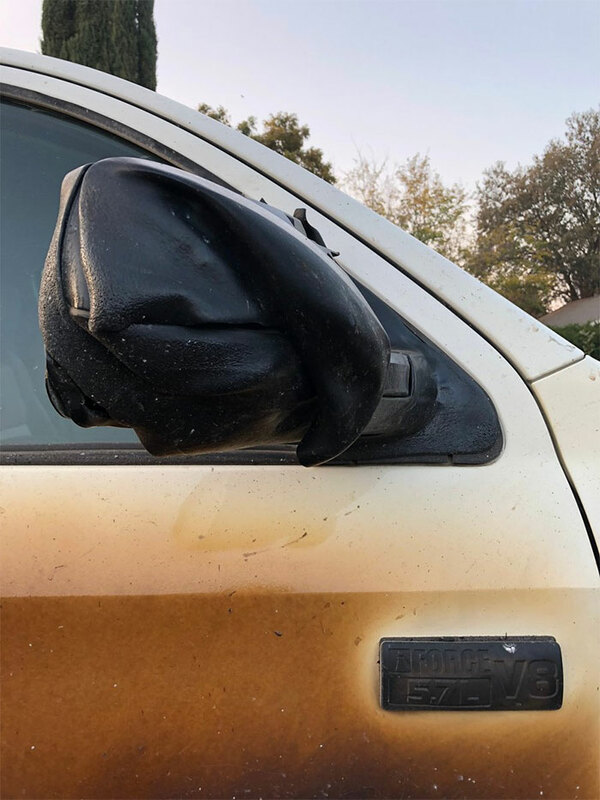 His truck, a Toyota Tundra which he used in the evacuation, is heavily burnt, showing just how close a call it was. 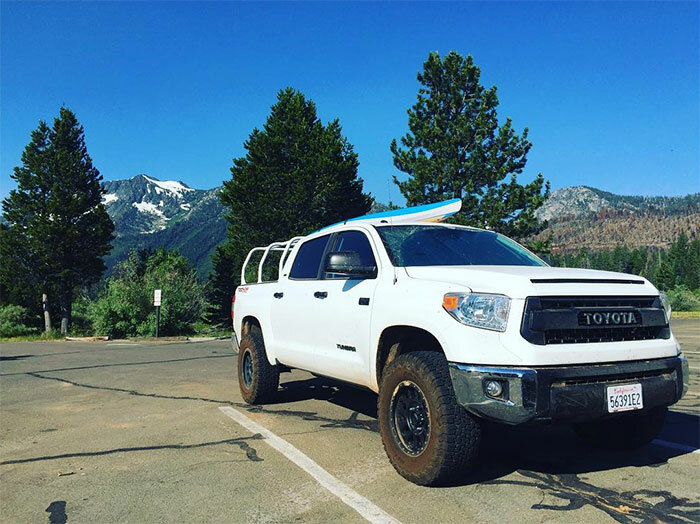 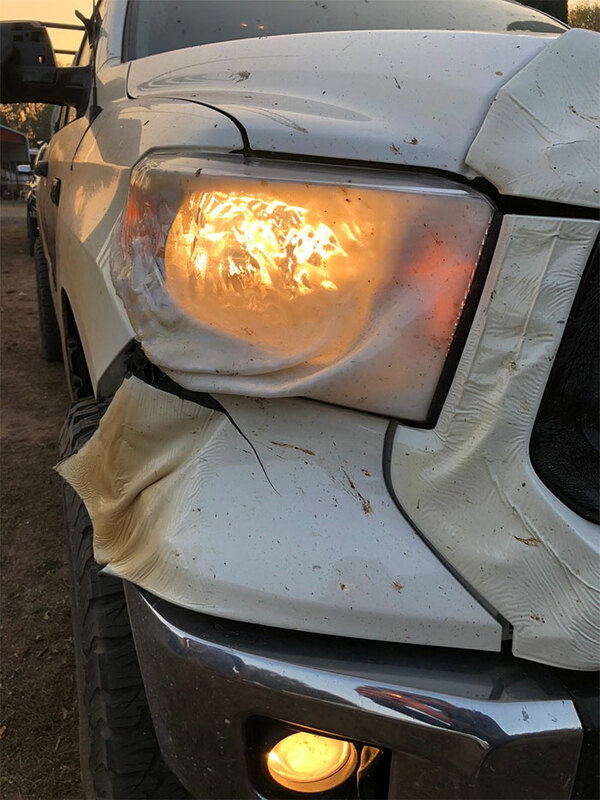 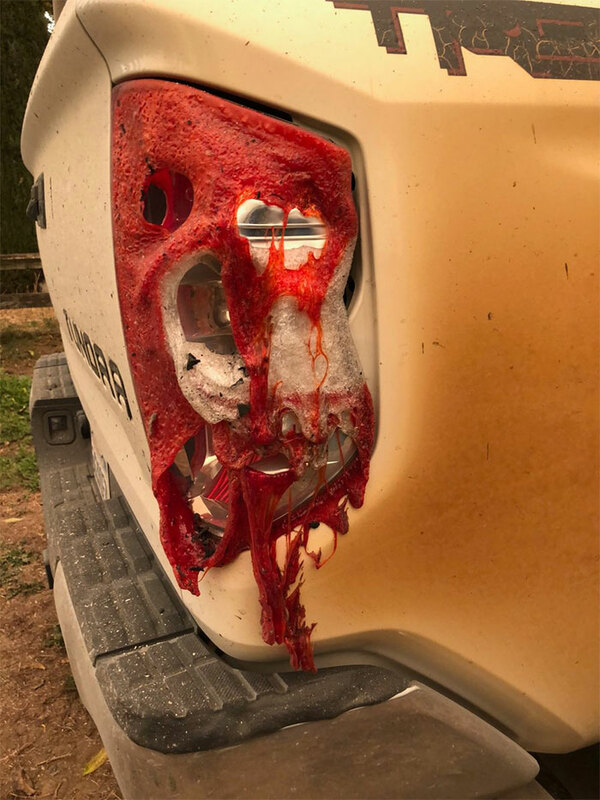 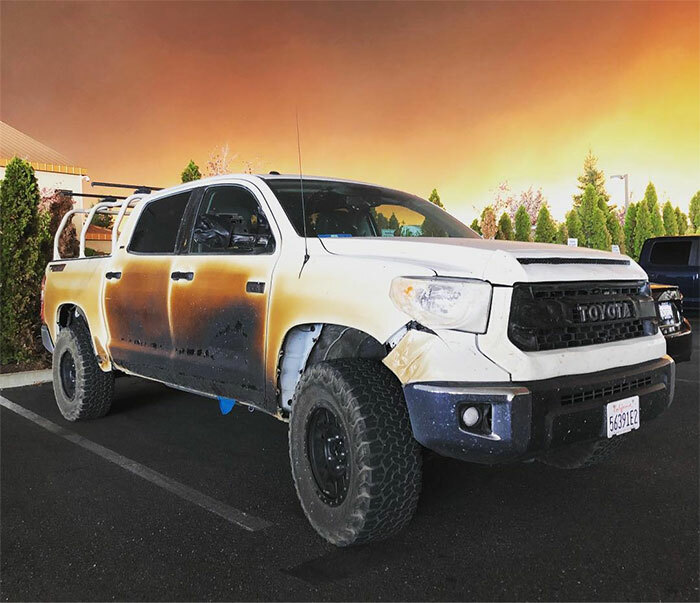 Allan clearly has a lot of love for his truck, and took to social media to praise Toyota for the hardy manufacturing of the vehicle that saved his life. 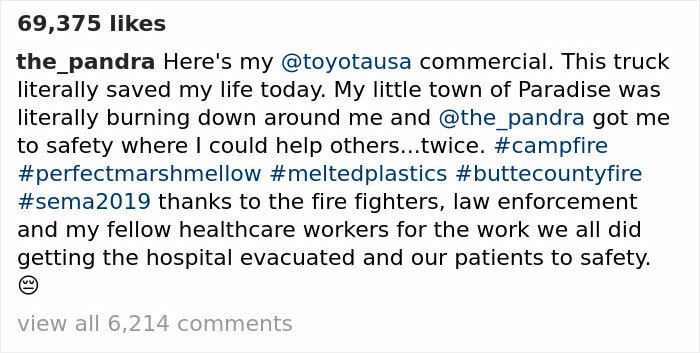 What happened next was a win/win for both Allyn and Toyota, and is a small piece of good news among the ongoing tragedy of these horrific wildfires.